Buying plane tickets to travel to some far off place can be costly especially if you have to buy them for your entire family. Instead, consider taking a family road trip. Sometimes adventure awaits in your own backyard. We live in Ontario so I was researching road trips in reasonable driving distance from our home in the Ottawa Valley. 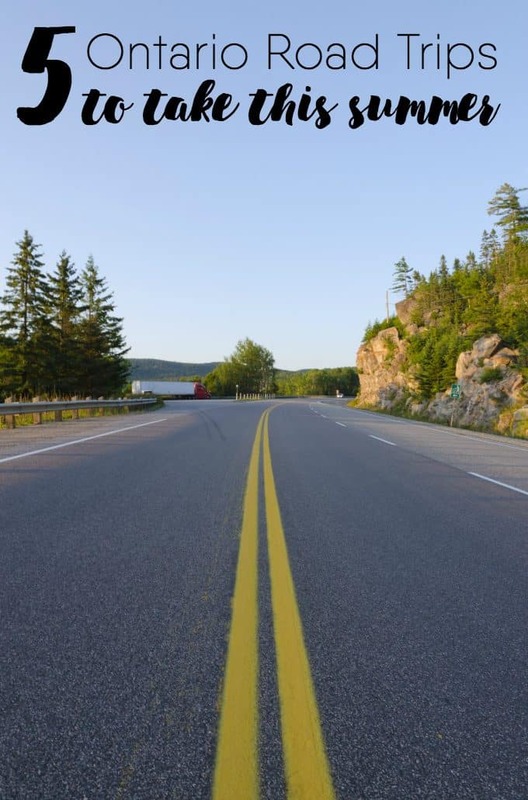 Here are five road trip destinations in Ontario to consider this summer! 1. Algonquin Park. 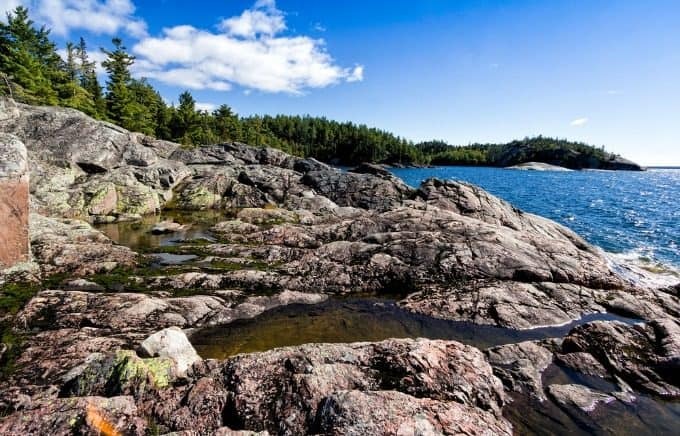 Canada’s oldest provincial park is located between Georgian Bay and the Ottawa River making it fairly close to access from both Ottawa and Toronto. Here in the Valley, it’s not far to drive to reach the park gates. It’s been years since we’ve driven through and I think it’s time to go back. The scenery is beautiful. Expect lots of trees, rivers, lakes and streams and maybe even some wildlife if you’re lucky. Drive right through from one end to the other or stop for a night or two to camp at one of the campsites. I hear the fishing is great! 2. Lake Superior. It’s the largest of the Great Lakes and it’s raw beauty is a sight to see. We drove along the highway on our trips across Canada and stopped to take photos of Lake Superior. I couldn’t get over how big the waves were crashing into the rocks. It reminded me a bit of the ocean. The drive is long, but worth it. Just make sure you stop for gas when you can because there aren’t a lot of places to stop. 3. Niagara Falls. I adore Niagara Falls and it’s at the top of my list whenever we are discussing where to go on our next trip. I could spend hours watching the majestic beauty of the Falls. However, there is also a ton of other stuff to see and do! 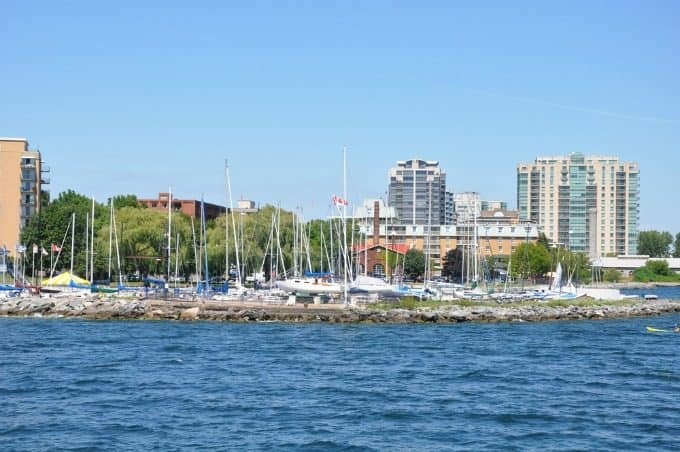 Check out all the tourist attractions on Clifton Hill, drive through the picturesque Niagara-on-the-Lake, and if you’re feeling brave, go on a Whirlpool Jet Boat tour. 4. Ottawa. We’re lucky to live so close to Canada’s Capital. I travel the 150km down Highway 17 often for doctor’s appointments, shopping and to visit friends and family. 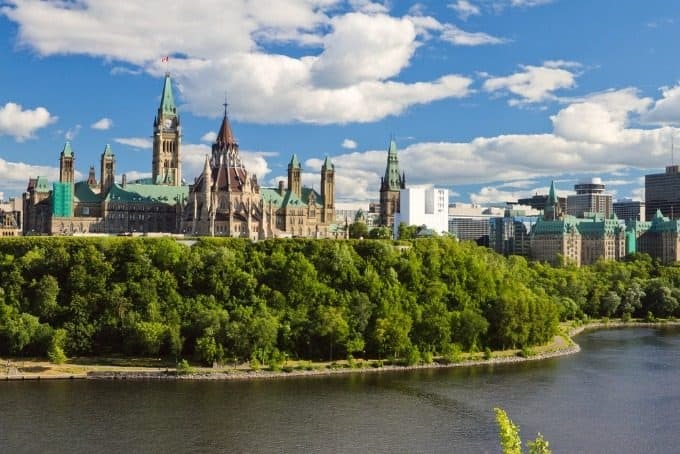 Must-see spots are the Parliament Buildings, Rideau Canal, Byward Market and the many national museums. 5. Kingston. I love the solitude of the drive up Highway 41 to Kingston. We used to do this trip all the time when my Grandma June lived in Erinsville. You can see her old house from the highway across from Beaver Lake. I lived in Kingston briefly when I was 19 and fell in love with the city. Make sure to check out one of the 1000 Islands Cruises while you are there. Before you head out on your road trip, make sure to pack all the essentials, including your GPS, snacks, sunscreen and first aid kit. Which road trip destination on my list is your favourite? I would love to go back to Niagara Falls for another visit. I’m most interested in the Ottawa trip. I’d love to see the capital! Algonquin Park intrigues me the most. 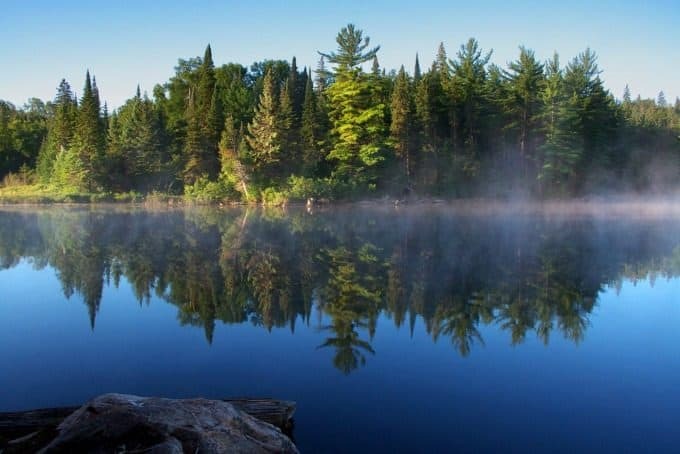 I grew up in Ontario but have not been to Ottawa before so would either pick that one or go to Algonquin park as it is so very pretty! I would love to visit Algonquin Park. I would like to go to Algonquin Park, we haven’t been there for many years. 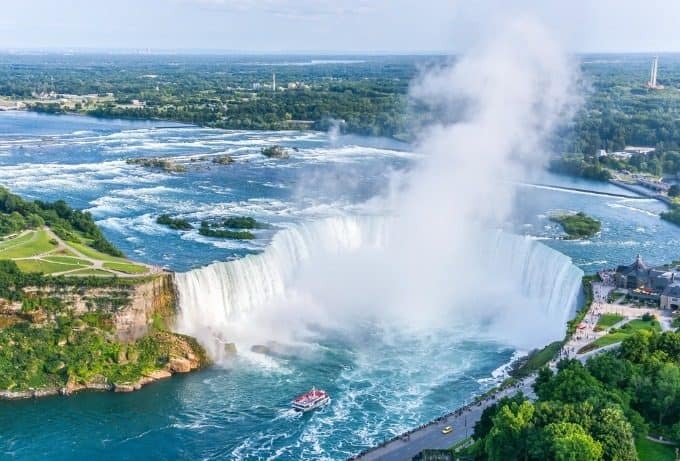 I have never been to Niagara Falls and I would really love to see it just once. I would like the Kingston road trip. I love the canals in summer so leaning towards Kingston or Ottawa, but saying that, would love to road trip to any of the destinations. I would love to go to Algonquin Park! Niagara Falls! I’ve never been, I would love to go. Algonquin Park would be cool!! I’ve been to Niagara Falls several times and it never disappoints. I’d love to go back there again, but I’d also be interested in taking the drive alone Lake Superior. I would like to visit Ottawa. I remember going to Niagra Falls as a kid. I remember how pretty and clean it was. Ottawa! And I would go forRemembrance Day. I would love to do the Ottawa road trip. I would love to do a road trip to Niagara Falls. Ottawa is nice but a little far for me, and Niagara Falls is absolutely gorgeous. My family and I would love to visit Niagara Falls.